Do you know the one thing (really the only thing) that could possibly make this already incredible sentence incredible...er? Frying it. 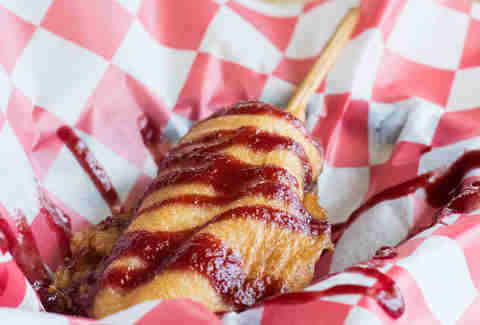 While we try to figure out how exactly to do that, check out this list of the awesomest deep-fried foods in Chicago. Forget the awesome craft beer list, colossal gourmet burgers, and killer milkshakes (for now, just for now), and instead go straight for the glorious deep-fried pickles at this burger stop on Clybourn. 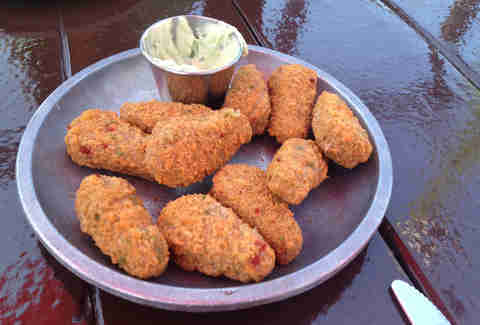 These gems are sliced lengthwise, dredged through a panko coating, fried, and served with a zippy aioli dubbed "urban sauce." 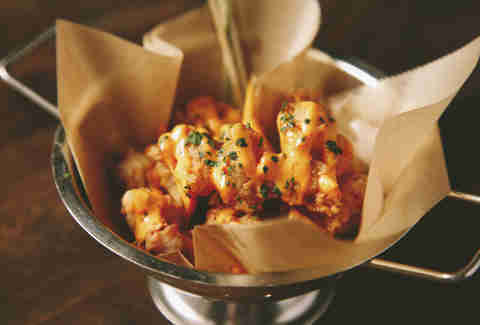 Consider Bottlefork’s bite-sized wonders the gateway drug of organ meats. The popcorn sweetbreads are small, breaded, and fried, drizzled in Calabrian chili aioli, and -- in the end -- far more innocuous-looking than most organ-based delicacies. Wash 'em all down (and when we say "all," we mean "all" -- these things are crazy addictive) with one of head barkeep Brandon Phillips’ knockout cocktails, like the all-new Beet Fizz with apple brandy, beet, lemon, cream, thyme, allspice dram, and egg white. 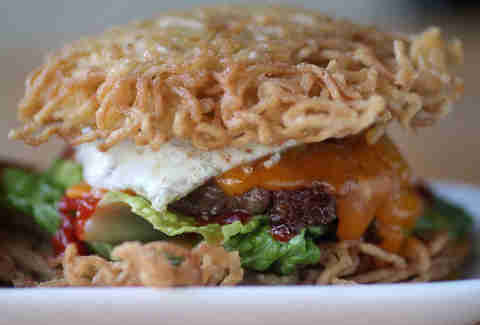 Inspired by the OG Ramen Burger in NYC, this Buzz Bar creation features a flavorful Kobe beef patty, a fried egg, sun-dried tomatoes, peppery arugula, and Sriracha sauce stacked between two buttered-and-fried, house-made ramen patties. Pro tip: it’s about as messy as it is delicious -- make sure to equip yourself with an arsenal of napkins. 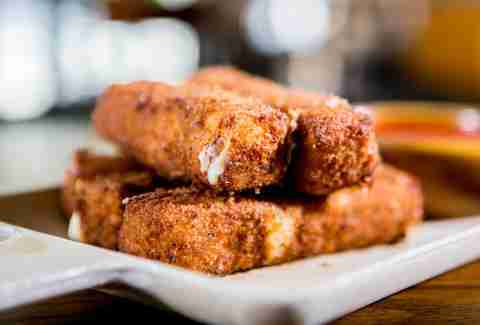 Panko-fried, spicy, and bursting with a creamy, cheesy center, the two-bite poppers at Chicago’s favorite biker bar embody everything we’re looking for in a great bar snack. And, unlike at a lot of places, you get about a dozen to an order instead of the usual five or six. 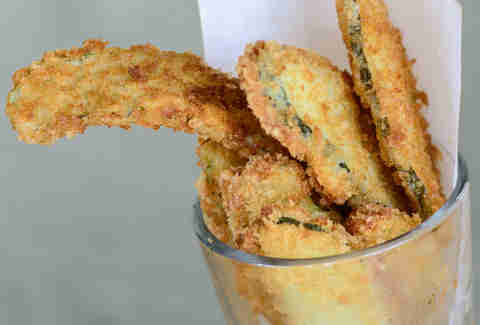 For maximum effect, dunk them in the avocado, cilantro, and lime sour cream. For EXTRA maximum effect, do it again. The acidity cuts through the spice and the heaviness of the poppers, allowing you to plow through the whole plate with ease. This Evanston mainstay sees your basic pan-fried breakfast strips and raises you a country-fried iteration with at least 10 times the whiskey-headache-fighting power. 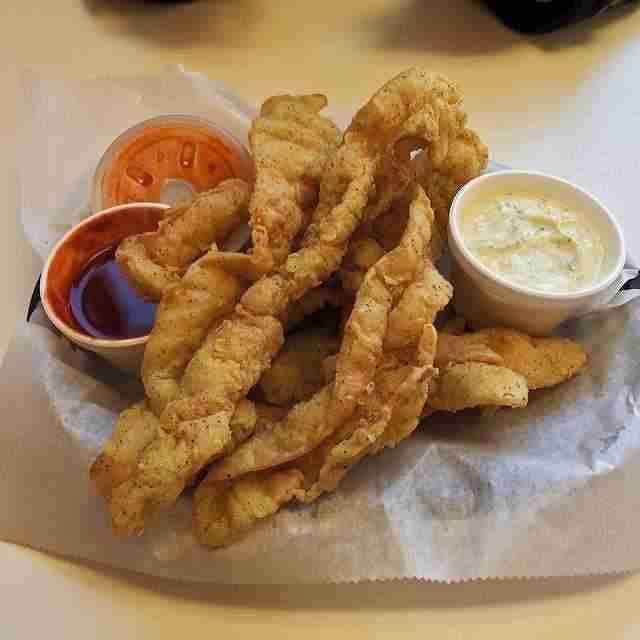 Each piece of bacon is breaded and deep fried to perfection, served with hot sauce and a special Argentine garlic and herb dip. Team your order with a jumbo fountain drink and a 1/3-pound char-grilled burger for full effect. Thank you, Parts and Labor, for offering a deep-fried Hostess product so on-point, we no longer feel the need to go to county fairs. P.S. Bonus points for that delightfully refined drizzle of raspberry coulis. Remember when we covered Rockit’s Mac & Cheese Attack burger? Well, that burger was (and still is!) 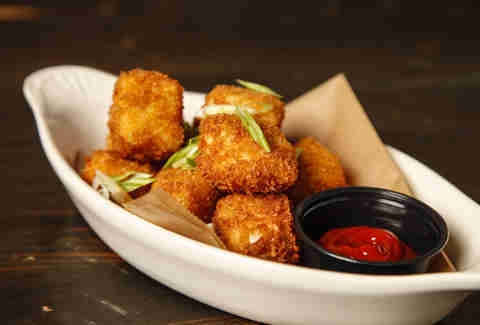 such a hit that the Rockit folks made fried mac & cheese bites (aka bite-size versions of the burger’s "bun") with Sriracha ketchup a permanent menu addition. Finally, a socially acceptable way to eat mac & cheese with our hands. The sticks at this local pizza joint are made entirely from scratch and coated in a seriously flavorful garlic-herbed breadcrumb mix. And with five to an order, they’re great to split with friends/definitely not split with friends as an appetizer before devouring one of Roots’ hand-tossed pies. 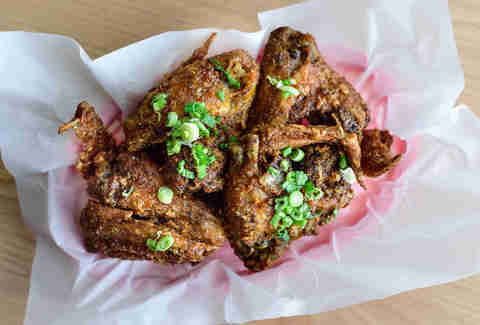 There’s no shortage of great fried chicken in this city, but Crisp’s tangy, Korean-style wings win by a landslide thanks to a double-dip in the fryer. The first dip seals in all the juiciness and the second crisps up the wings to order. 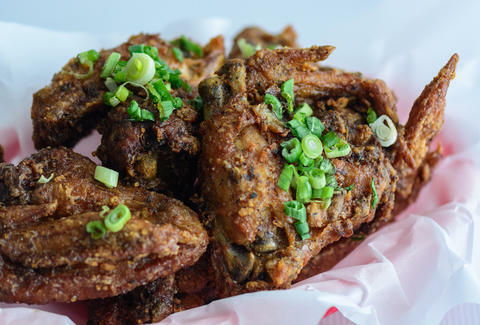 Add a generous coating of sesame, garlic, and soy, plus a sprinkling of fresh green onions, and you’re on a rocket ride to chicken-fried Nirvana.